This Chardonnay Domaine Decelle Villa 2014 has a nose of white fruits. 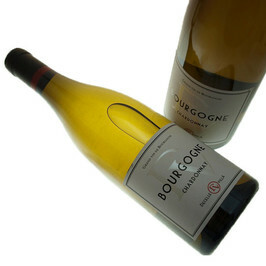 An excellent well-balanced Chardonnay ! Serve at 15-17 ° C. This Chardonnay Domaine Decelle Villa is perfect with white meat and fisches. Pierre-Jean Villa, wine grower in Côte Rotie and Olivier Decelle install their cellar in a building of 1880 in the Nuits Saint-Georges, in Burgundy. The vineyard of the Domain Decelle-Villa is cultivated in biological vine growing to protect the expression of soils. With 5 hectares of vineyards, they select grapes the best plots of land of Burgundy to make quality wines.